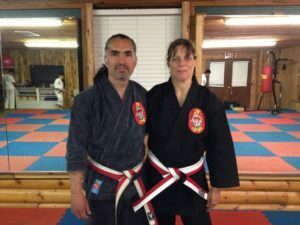 After taking a class in Isshinryu Karate taught by a college friend a a local rec center in Corpus Christi in1985, Tony & Tina moved to Denton to attend UNT and major in Jazz Studies. 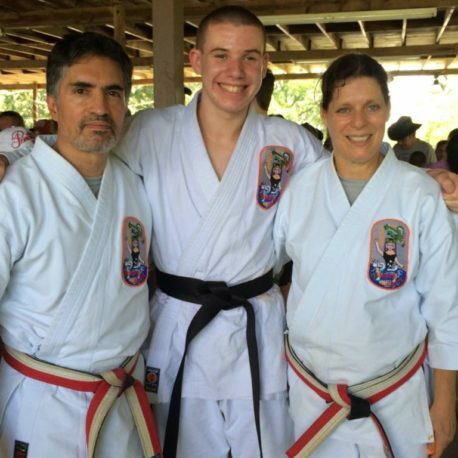 They started training again in 1998 with Hanshi Robert Kristensen in Coppell with the goal of earning black belts and getting in shape. In 2002, Tony started Denton dojo as part of testing for Black Belt. From one location of six students, they have grown to two locations with classes for students from 5 years to over 50 years old. 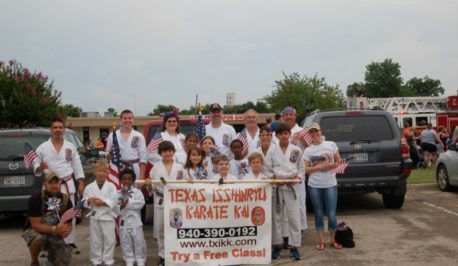 Still active as jazz musicians in D/FW area, they find karate balances their life in many ways. 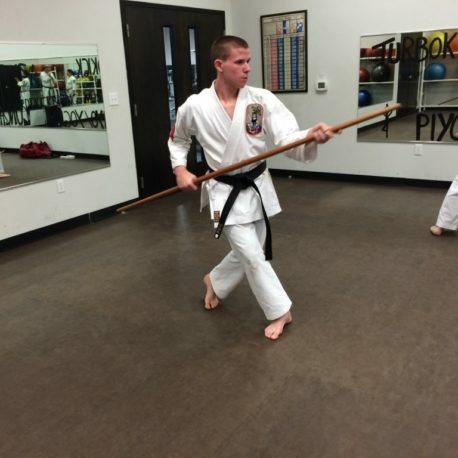 They enjoy passing on all the benefits of traditional martial arts to students of all ages and teaching them skills to succeed at home, in school, and in the workplace. 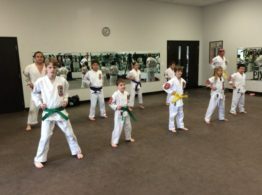 Inclusive karate class for students with physical and intellectual differences to improve focus, confidence, discipline, fitness, and self-defense. Students also practice social skills and have fun. Questions? Call 940-390-0864 for more information or to try a free class. 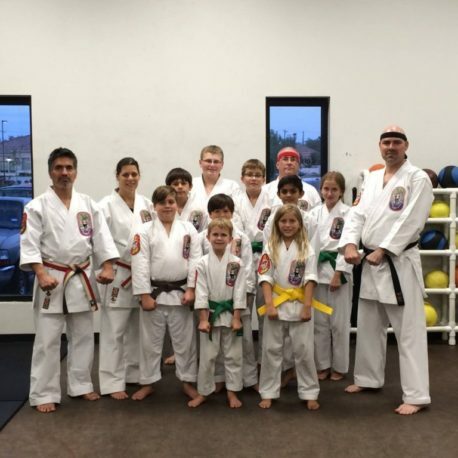 Adaptive Karate Classes are held at the Brickhouse Gym location. 940 – 390 – 0864.